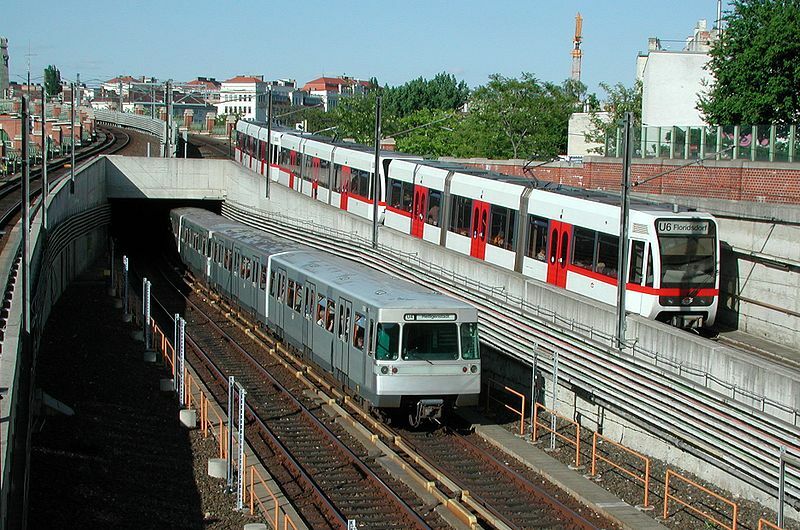 The system after the extension of underground line U2 to Stadion and the discontinuation of tram line 21. 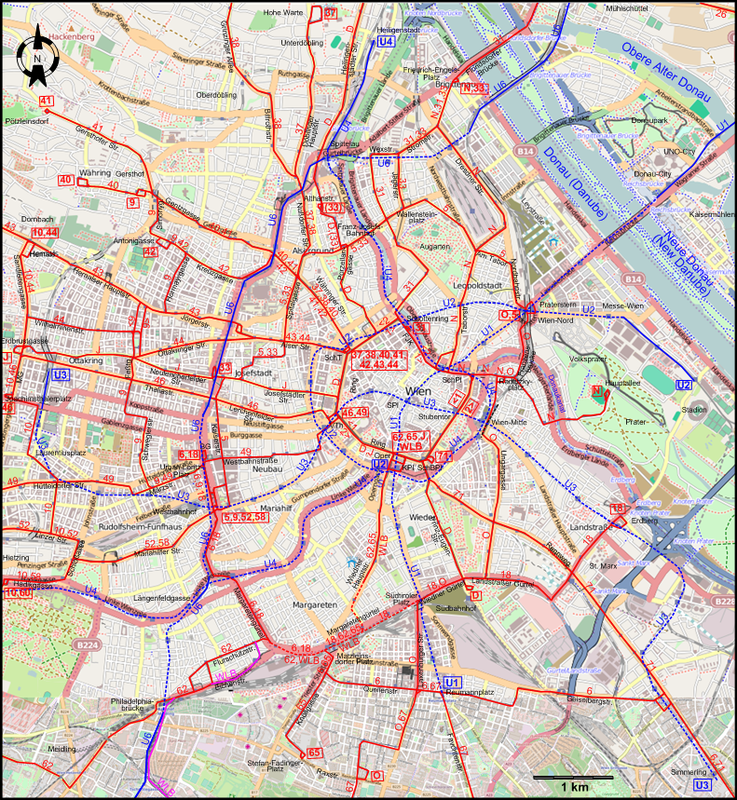 Underground (U-Bahn) routes: 70 km. 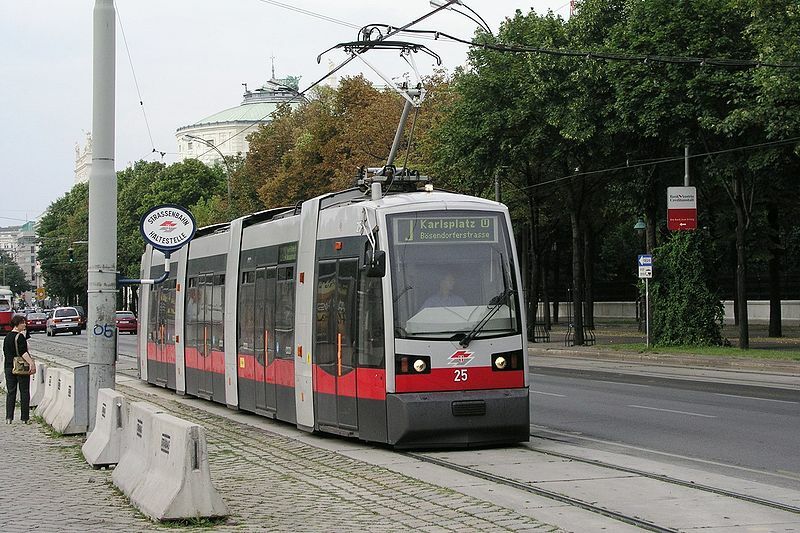 Stadtbahn (today's U-Bahn Line No.6): 1898 - today (1898 - 1918: steam; 1925 - today: electric) . 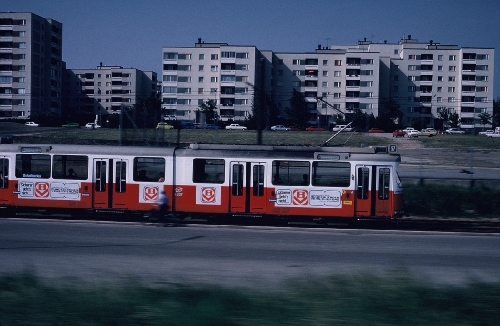 Became part of the U-Bahn network: 1989. 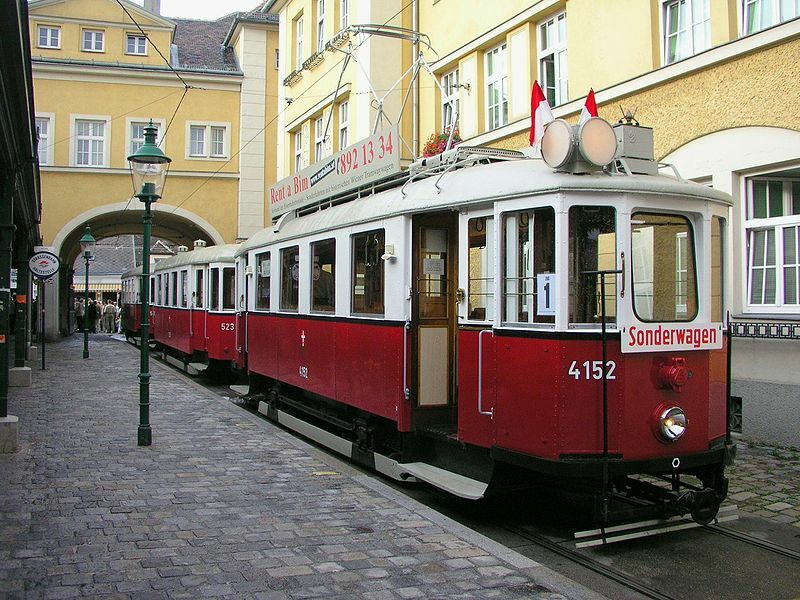 Note: Trams in Vienna ran on the left side of the road until 19 Sept. 1938. Buckley, R.J. Tramways and Light Railways of Switzerland and Austria. Milton Keynes (England): Light Rail Transit Association, 1st ed., 1984. Buckley, R.J. Tramways and Light Railways of Switzerland and Austria. Milton Keynes (England): Light Rail Transit Association, 2nd ed., 2000. Lehnhart, H. & Jeanmaire, C. Die alten Wiener Tramways 1865-1945 / The old Viennese tramways (Austria) Villigen (Switzerland): Verlag Eisenbahn, 1972. Pawlik, H.P. and Slezak, J.O. Wiener Straßenbahn-Panorama: Bilder aus der Zeit von 1865 bis 1982. Wien: Verlag Josef Otto Slezak, 1995. 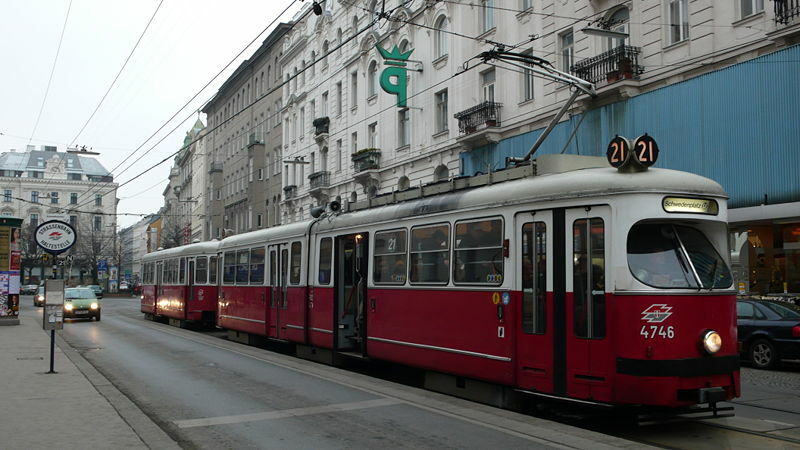 Russell, M. "Wien's tramway at 150", Tramways & Urban Transit, Jan. 2016 (79:937), p.36-37. "System Factfile No.104: Vienna, Austria", Tramways & Urban Transit, June 2016 (79: 942), p.224-228. Walshe, M.O'C. "Vienna: The city that still believes in trams", The Modern Tramway, Jan. 1960 (23: 265), p.32-40. Wansbeek, C.J. "Wien: Welcome to ULF city! 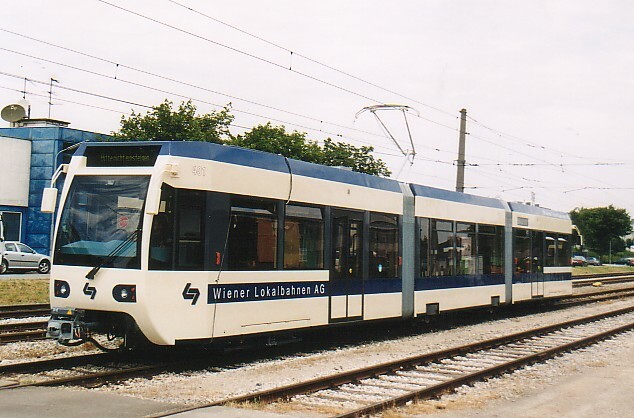 ", Tramways & Urban Transit, Jan. 2005 (68: 805), p.12-15. and Feb. 2005 (68: 806), p.52-55.